You can always expect great food from the local restaurants and street vendors in Cabo, and there are plenty of lists out there that will tell you where to find the best meals, but when you are on vacation, it is more about the experience and creating memories than anything else. Whether you prefer to be on land or at sea, Cabo offers a plethora of unique options for experience-based dining. Good food can be found anywhere, but these dining experiences are once in a lifetime. If complimentary appetizers–paired with an open bar with wine and spirits–on a boat doesn’t sound good enough already, then maybe all it is missing is giant sea mammals splashing around you. 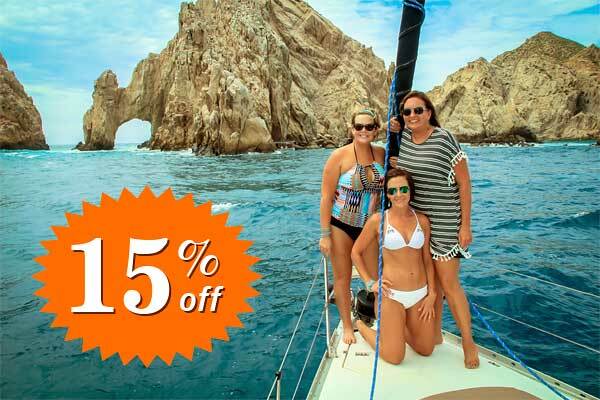 Whale watching in Cabo is one of the biggest attractions in the area. Each year from mid-December to mid-April, thousands of whales migrate through Baja California Sur on their way to their breeding grounds, making for some great opportunities to spot all different kinds of whales. While on your whale watching excursion, you can enjoy chips, guacamole, cheeses, fresh bread and a sushi bar with a margarita for the ultimate dining experience. If you are spending any time in Cabo, snorkeling is a must. Unless you live somewhere tropical, you will rarely get the opportunity to experience such vibrant, colorful sea life so close up. At Pelican’s rock, sea lions and, of course, pelicans can be seen soaking up the sun, while below the surface, schools of tropical fish are waiting to be discovered. Though keeping up with the schools of aquatic creatures can be exhausting, you can book a snorkeling trip that includes lunch to keep you fueled while you spend most of your three hour snorkel cruise in the water. Oh, and there is an unlimited bar, too! If you are looking to explore the Cabo area and get a bite to eat on land instead of by sea, there are plenty of options for you as well, including a mountain biking tour. Though this sounds like it would be a difficult excursion, it is suitable for all skill levels. The desert outback exploration includes an authentic Mexican lunch and a celebratory drink at the end, which you will have earned with all that pedaling. Keep an eye on the horizon while you are heading down the trail, as well, because you might see a whale or two breaching in the water. If you would rather not exert your energy on a mountain bike, consider embarking on a camel safari. Starting in the town square, you will learn about the town’s history and culture before heading Baja outback to hear about the wildlife. Eventually, you’ll hop on the back of a camel to take a ride down a secluded beach. 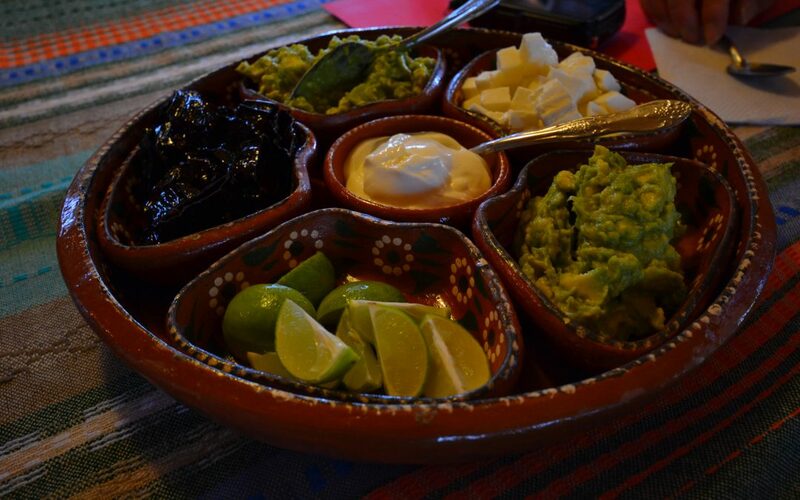 The final stop on the tour is lunch, where you can feast on authentic Mexican cuisine before getting in a truck to ride back to town while sipping tequila. Isla Espiritu Santo, which means “Island of the Holy Spirit,” is an uninhabited island off the coast of La Paz. It has what are considered some of the most beautiful beaches in the world, including its largest one, the famous Ensenada Grande. Because no humans live there, the island is teeming with wildlife, including birds, sea lions and even dolphins. Eat lunch on the beach and do some snorkeling before heading back to town for sunset. If you are feeling a bit more adventurous, perhaps you want to try swimming with whale sharks. Though they are technically sharks, these filter-feeding creatures are considered gentle giants (fully grown, they can weigh over 20,000 pounds) and are completely safe to be around. You’ll get to snorkel right alongside these large sea creatures, but don’t forget to keep an eye out for other animals such as rays, dolphins and fish. Afterward, you can enjoy a lunch before heading back to land. Maybe you want more than your everyday dining experience, but are not looking for too much adventure. Lucky for you, you can book a sunset cruise that requires nothing but relaxing. Though you can snorkel and swim if that is what your heart desires, you can also just sit back and enjoy a variety of appetizers and an open bar while taking in breathtaking views of the sunset on the water. You’ll have the memory of your at-sea dinner while still having enough energy to explore in town once the sun has dropped below the horizon. With so many options to choose from, it might be hard to decide which exciting dining experiences to try. No matter which you choose to partake in, you’re sure to bring home plenty of exciting vacation memories!